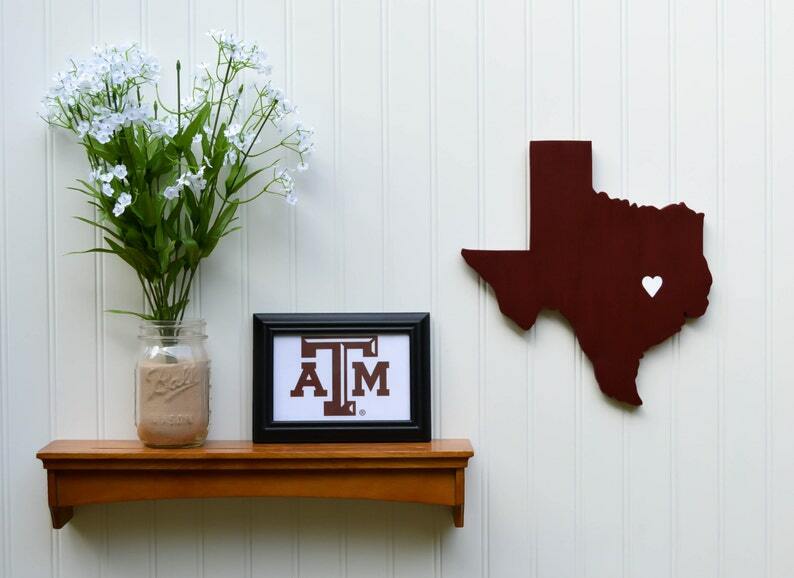 Texas A&M Aggies "State Heart"
Heart Location: College Station, TX. Contact us if you'd like it moved to a different location. - The picture frame is NOT for sale. It is there just for size reference (4" x 6"), and decorative purposes. State Your Team is not affiliated with, nor endorsed by Texas A&M. The logo is used strictly for decorative purposes. Thanks for accommodating my custom order! Have 2 of these and they look great!! LOVE! LOVE! LOVE! LOVE! LOVE! LOVE! LOVE! LOVE! LOVE! LOVE! LOVE! LOVE! LOVE! LOVE! LOVE! LOVE!